Prep: Cut the ginger and avocado to simplify the steps and for smooth blending. First, pour your choice of milk into the blender. Next add the banana, avocado, ginger, greens (kale or spinach), honey, and then top it all off with the Matcha. Blend all your ingredients until smooth. Pour the finished mixture into a bowl and add your favourite toppings! 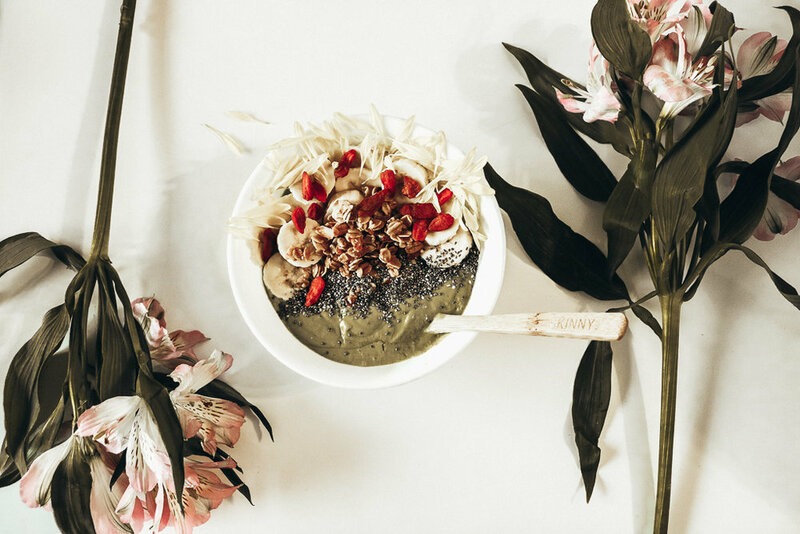 In this recipe, we chose chia seeds, goji berries, banana, Hawaiian granola, and edible flowers. 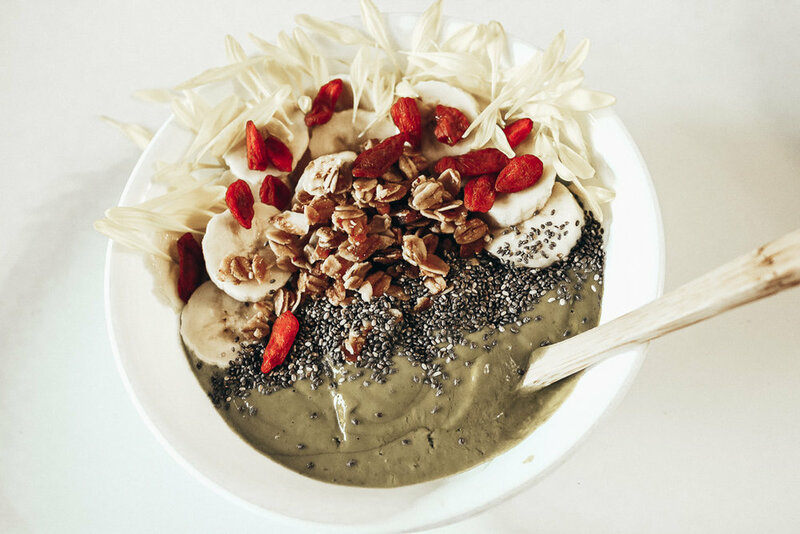 The perfect pick me up recipe for a healthy breakfast!